Favorite book (and why! ): Pretty much any Dr Seuss Book because they bring humor. They’re fun to read aloud for both of us, and the pictures provide for good discussion. A: I volunteer for Everybody Wins! Iowa in two ways. First, I read at Findley Elementary school. This is such a rewarding experience for me because I can see the impact on a weekly basis. It’s not just the improvement in reading that I see over the course of the school year. It’s the engagement I feel each time we read. I recall one week where my student asked me to stay for extra time so we could read, even though that meant cutting short his time on the playground. If that doesn’t motivate you, I don’t know what does. Second, I serve on the EWI Board. Along with my fellow board members, this provides me the opportunity to influence the direction of the program. It’s great to see the impact an organization can make on its community when you bring together a committed board and staff, serving a common purpose. A: I think anyone committing their time to volunteer for a nonprofit organization should be commended. Volunteering within your community is a win, win, win – for the volunteer, the organization, and the organization’s recipient. Spending time with a student and watching them grow and progress is inspiring. Everybody Wins! Iowa is truly special because it’s mission ties directly to improving education in our community. Studies show that proficiency in 3rd grade reading is the #1 predictor in high school graduation. 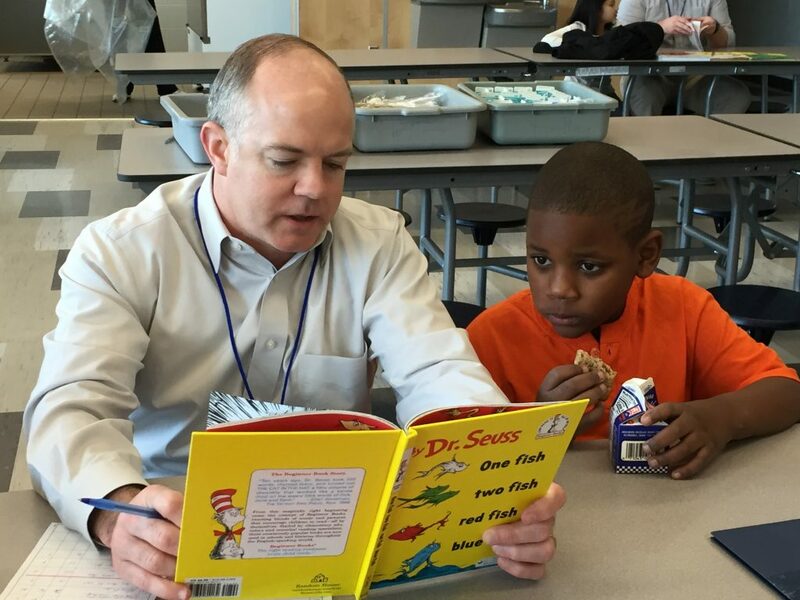 EWI’s Power Read program is focused on impacting students between K-5th grade. For me personally, through reading aloud and having my student read, I can see improvement on a regular basis. Plus, we stay with the same students- for the duration of the students’ time in the program, even if that means multiple school years- so we really get to know each other and build rapport.